Content in Person with Updated CV,Original Passport & Exp. Cert. 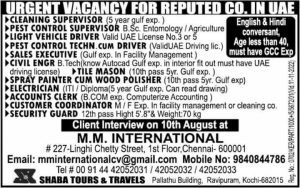 Candidates should have Good relevant experience in their job, Gull Experience candidate Preferable. s” “I, 3 £311) TITUS TECH SKILL INSTITUTE, 11-12. BALAJI NAGAR. Any jobs on administration , computer operator or any other field… ? Accountan ka visa ha kya Oman.qater.bhrain. 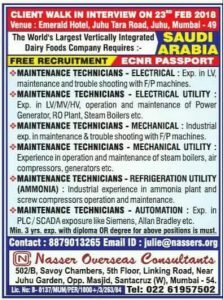 I’m a HVAC technician 20 years experience in GCC Countries age 49 years.Doha GOLF CLUB QATAR also 7 the years experience.I want to job in GCC Countries. 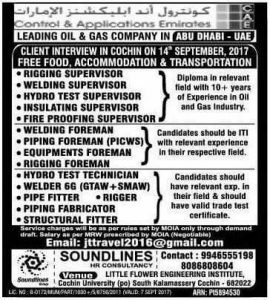 Hi sir I’m 11kv HV jointer is there any vacancy? 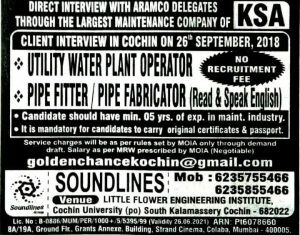 Is there any draftsman vacancy..
Sir iam karunakaran. Diploma in civil engineering and having 20 yrs work experience.Interested to work in Dubhai. Hi my self imran siddiqui i am 34 years old and I have 6 years experience in retail i am looking job dubai or abu dhabi please let me know if thre is any vacancie my contact no 7400146196 Email address imransiddiqui191283@gmail.com please do the needful. Any mall cse beeza available because I have an experience for 1 year at b.p.o. u have urgent required plz jst call me.. .
My name is Mohammad Anas. I am looking for customer service executive job. 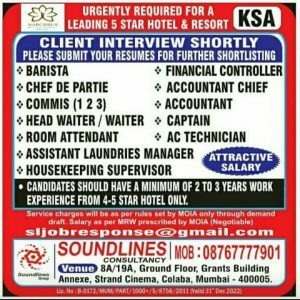 I have 2 years experience as a customer service in oceanic Telecom pvt Ltd. 8 month experience as a relationship officer in dunia finance in UAE. have done Bachelor of Commerce (Computers) from Osmania University, Hyderabad. Hi my self Irshad ali shaikh i am 23 years old and I have 6 years experience in retail i am looking job dubai or abu dhabi please let me know if thre is any vacancies my contact no 7400146196 Email address iali08804@gmail.com please do the needful. If any job regarding aviation lines ,,such as ground staff ,,aircraft technician ..and so on ..then please inform me sir. 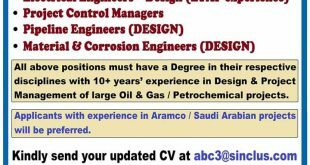 I have 6 years experience in instrument foreman field.presently am working in offshore abudhabi .have any vacancy for assian or Europe contries.if it’s have pls inform me.my contact number +971566924620. 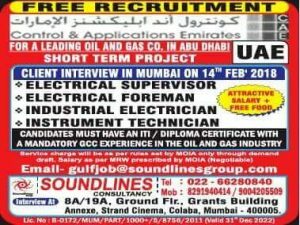 sir my name Vijaykumar presently I am working in Oman I have 10years experience sr:insulator ducting piping and duct errection with drawing any suitable vacant please inform. Call me please…… God help you. i have kindly request ples.i need fork lift visa for gulf contry leave only ksa.i have also 4 year expreince in ksa.as a labor post so ples.help me. Hi I’m Chandra Prakash yadav I want to Visa heavy driver I am return from Saudi Arabia 7year experience in Saudi Arabia I have original license in Saudia.so i want to Visa heavy driver any good company and good salary. My Education 12th pass.and my Knowledge hindi, English about. 2-My Second knowledge is Mobile crean operator 100 Tan .Experience Saudi Arabia.